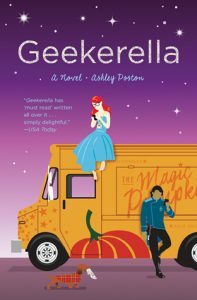 This Sunday’s NetGalley review is for an adorable and geeky contemporary read, Geekerella. It was originally published last year but is due to be reprinted with some additional Starfield scenes at the end, which I found were great for helping you see just why the series is so beloved by our main characters! We follow Danielle (Elle) and Darien as they each develop over the course of a few months, and fall for one another! It’s a modern, geeky retelling of Cinderella and a story you absolutely need to pick up if you’re a lover of fanfics, conventions and the like. ‘Cinderella goes to the con in this fandom-fueled twist on the classic fairy tale romance—now in paperback, with a special Starfield bonus scene! This was a completely and utterly adorable read! I don’t mind reading contemporary YA fiction normally, but as was the case with this story I love them if they have nerdy characters, so this read was perfect for me! I think it also helps that I’m a fan of retellings and, as the title suggests, this is like a modern retelling of Cinderella with a geeky background. 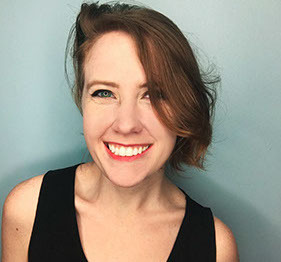 We have Danielle (Elle) who is our Geekerella. As with the original her mother had passed away, with her father going on to remarry and sadly passing away. This leaves Elle living with her stepmother and stepsisters – Chloe (who is plain evil) and Calliope (we get glimpses that she isn’t at all as evil as her mother and sister). Elle has a major love for a cult sci-fi TV show known as Starfield, which stems from her parents loving the series and her father loved it so much he started a popular convention for it (which ends with a cosplay masquerade ball…). The show is in the middle of being made into a film, with our other POV aside from Elle’s being Darien, who is an actor cast to play Prince Carmindor in the reshoot. Elle wants to escape and when she finds out her father’s convention will have a cosplay competition that year she desperately wants to win so she can get enough money to leave her home. She’s been bullied by her stepfamily to such a point though that she feels completely isolated and, at the beginning, she struggles to let anyone in at all. But then there’s her coworker from the Magic Pumpkin food truck – Sage – who is basically her fairy godmother and becomes her closest friend. She sees that Elle is trying desperately to alter a costume for the convention and she also sees that she has no idea what she’s doing… So Sage makes it clear she wants to help Elle, she invites her round and even insists that Elle introduces her to Starfield as she hasn’t seen it before. Personally, that was enough to choke me up but alongside this Darien has started anonymously texting Elle and they start to fall for each other. To make matters even more interesting, Elle runs an anonymous Starfield blog where she essentially gains internet popularity by writing about how upset she is with Darien’s casting. He’s been told by his manager and father to act like he doesn’t know that much about Starfield so she assumes him to be just involved for a pay check, whereas we learn it’s actually his fame hungry dad who wants him to do it for the money. Darien knows pretty much as much about Starfield, if not more, as Elle and this is the side of him she sees whilst they’re anonymously texting. Perspectives wise, seeing both Elle and Dariens’ points of view was perfect. It really helped to develop the two main characters as well as both introducing and developing secondary characters. This story also has LGBTQ+ representation in, which is done very well. I don’t want to give away who it centres around as it’s quite late in the story but I do love how Ashley has written it! So yeah, I adored this book. But I do want to warn people… make sure you have tissues nearby, you’re about 80% likely to cry because at times this is heart wrenching to read but mostly you’ll be smiling with happy tears falling down your face. It’s definitely something I’d happily read again also! I definitely cannot wait for the sequel too: The Princess and the Fangirl will be released in 2019. Feel free to leave a comment or tweet me @LuchiaHoughton!